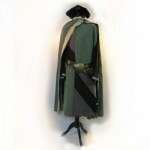 Fur, velvet, chainmail, boots, cloaks and swords .. you can live out your swashbuckling fantasies. The type of costume you require will depend on where you are going. 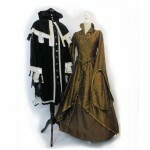 We have some costumes suitable for re-enactment, and we are happy to make bespoke outfits, however the majority of costumes we have are designed for medieval banquets and Fayres. We have children and adult costumes that are suitable for living history events such as those held at Stansted Mountfichet Castle and Hedingham Castle. If you are involved in living history, we can make authentic bespoke costumes to order (at least four weeks notice required).